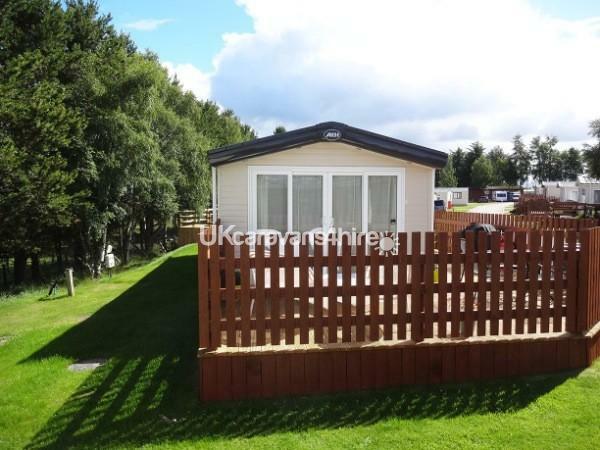 Luxury high specification NEW 2016 ABI 40' Harewood’ Leisure Home located in a prime position on the perimeter of Boat of Garten Holiday Park (Scottish Tourist Board 4 Star graded) with views to Kinveachy Forest from the lounge and decking. 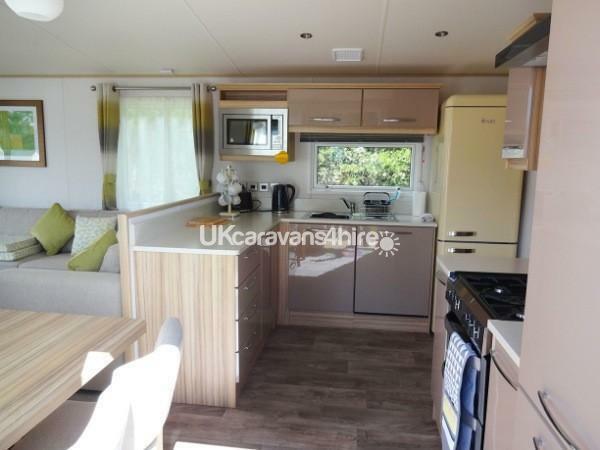 The luxurious accommodation is well insulated with full double glazing, gas central heating with radiators in all rooms, controlled by a room thermostat, and is fully equipped with everything you will need. 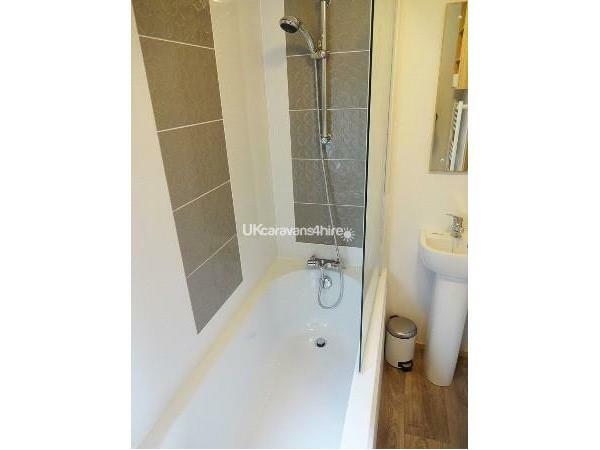 The accommodation comprises a master bedroom with king size bed and en-suite bath & shower, toilet and wash hand basin. 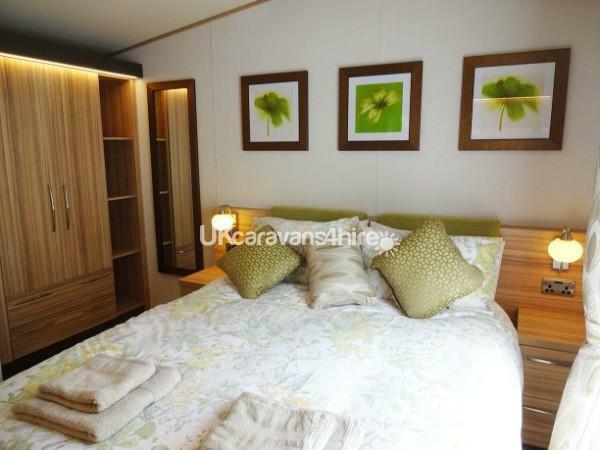 Bedroom 2 has 2 full size 3 feet wide twin beds. 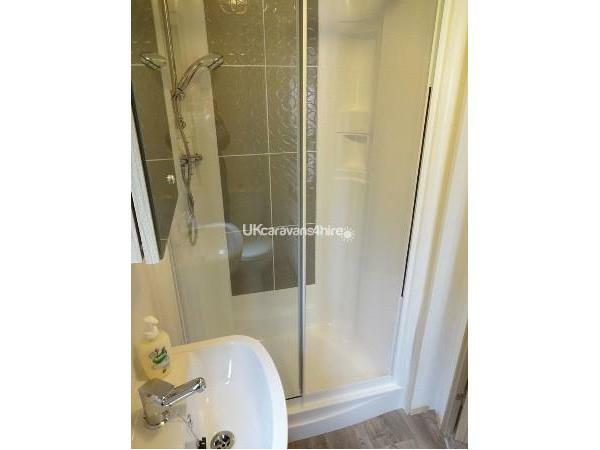 The main bathroom also has a large shower, toilet and wash hand basin. 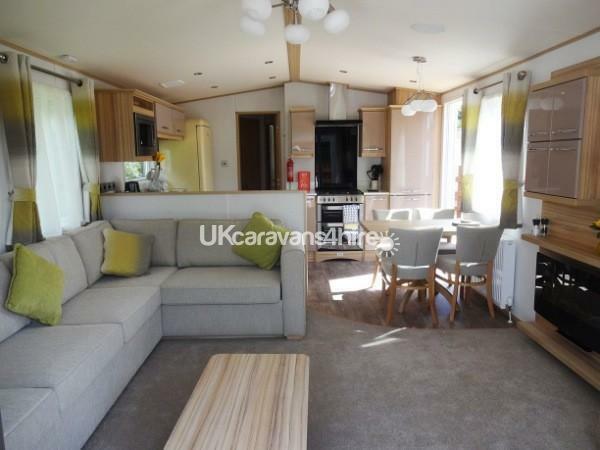 The large comfortable lounge has a flat screen TV, Freesat, DVD/Blue Ray player, and built in sound system. 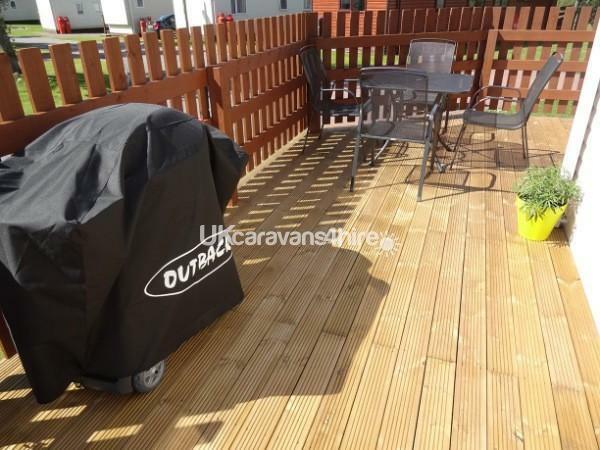 A patio door leads out to a large decking area with table, chairs and 'Outback' gas barbecue. 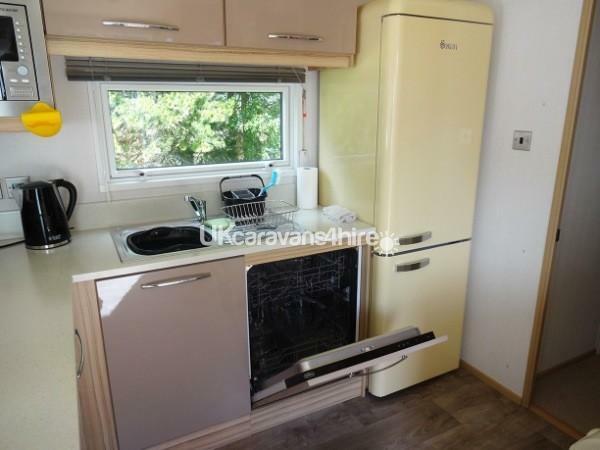 The fully equipped kitchen has a dish washer, built in full size gas oven, & grill and microwave, fridge/freezer, toaster, electric kettle, crockery, glasses, cutlery etc.. The adjacent dining area has a dining table & 4 chairs. 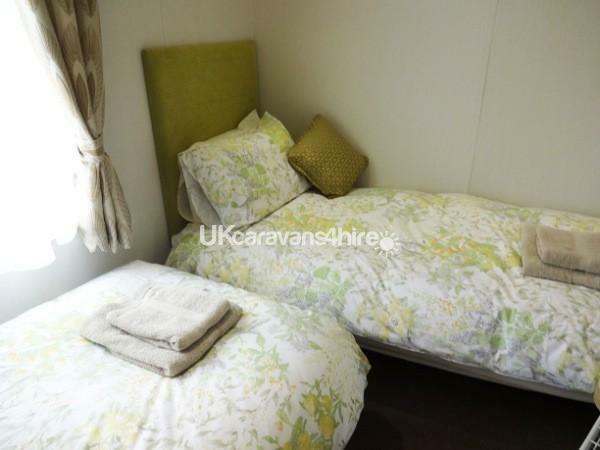 An iron and ironing board, hair dryer, vacuum cleaner, and quality bed linen and towels are provided (please ask for an inventory when booking). A lockable shed is also provided for bike / ski storage etc. Boat of Garten (the Osprey Village) is located on the famous River Spey in the heart of the Cairngorm National Park near Aviemore and is an ideal centre for a large variety of outdoor pursuits - Skiing/ Snow boarding Walking, Mountain biking, Bird watching (Loch Garten and the RSPB Osprey Centre is close at hand), The Strathspey Steam Railway, Fishing (loch & river), Golf at Boat of Garten Golf Club. Children are well catered for at the “Landmark Forest Adventure Park” with high ropes courses, water slides and rides at nearby Carrbridge (3 miles away). Aviemore with its shops, cafes, restaurants, bars and clubs, and from where you can access the ski slopes and mountains is only 6 miles by road or by walking through the forest along the Speyside Way. Children are welcome. 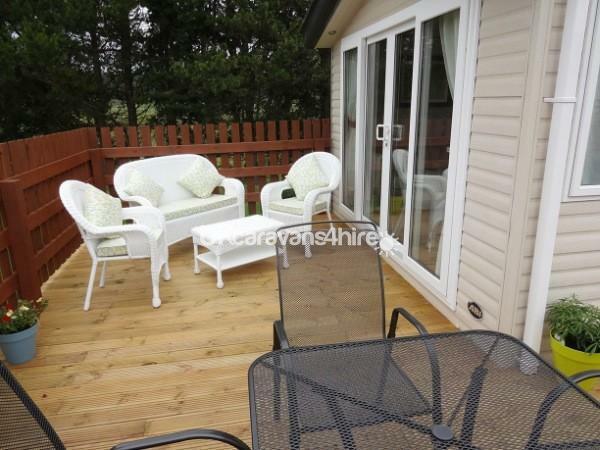 One house trained dog up to medium (Labrador) size are welcome (there is a large enclosed decking area with gate). Dogs must not be left unattended at any time in or outside our Leisure Home. Bookings can be made for short or long breaks (3 nights plus). 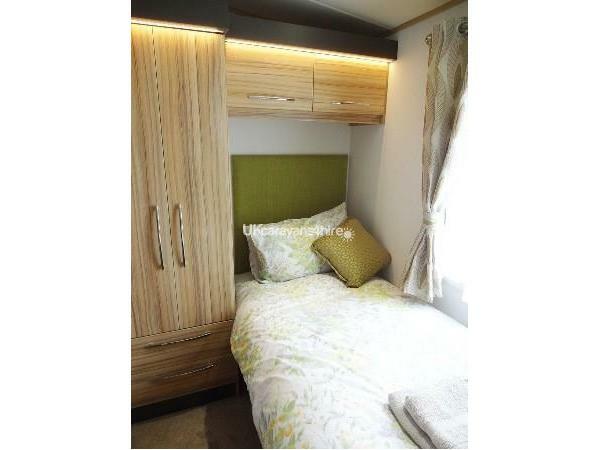 Gas, electricity, bed linen and towels are included in the price. Occupancy is restricted to a maximum of 4 persons. No reviews found. 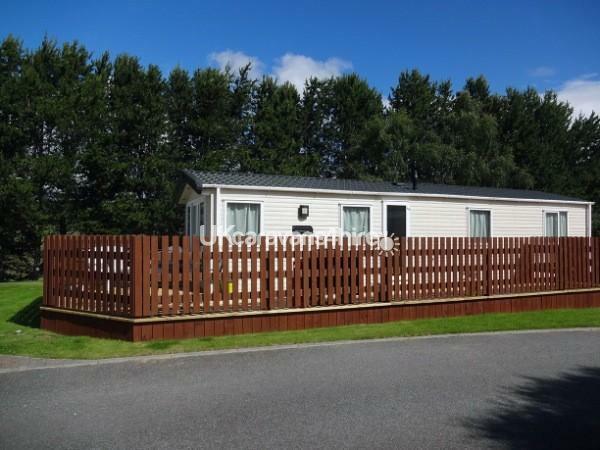 If you have recently stayed in this holiday home please leave a review, it only takes a few moments and will really help future guests when they are searching for holiday accommodation at Boat of Garten Holiday Park.